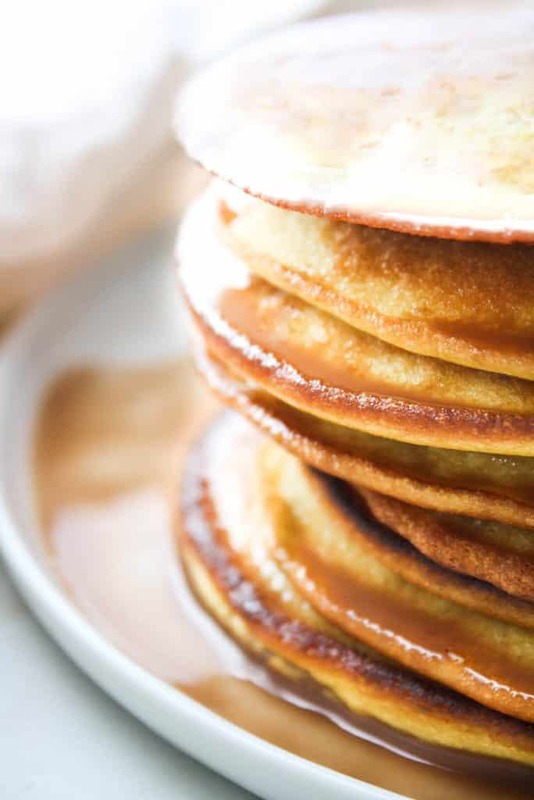 These Low-Carb Pancakes are soft, filling, and so delicious! They are a perfect addition to your weekend low-carb brunch menu! Most mornings in our household, we eat some variation of bacon and eggs, so there are plenty of times where a craving for something a little more sweet and decadent hits. Enter low-carb pancakes in all of their delicious glory. Add some chocolate cashew syrup to ’em? YEP, I’M IN! 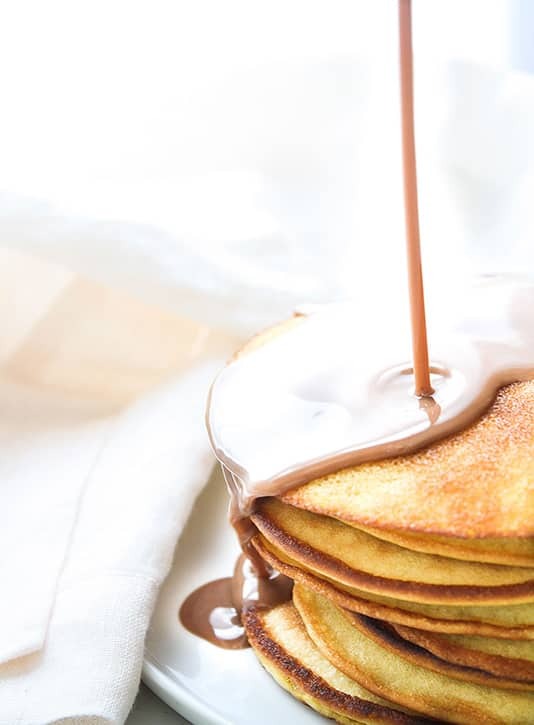 These pancakes require little to no effort to make and taste MAGICAL. Just whisk the ingredients together, melt up some ingredients for chocolate cashew syrup, serve, and live happily ever after, the end. A true low-carb fairy tale if I’ve ever heard one! 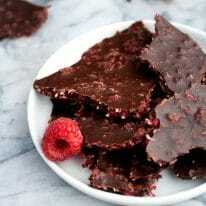 This recipe is made without any grains or gluten. I personally tend to eat a paleo-ish diet, especially in terms of grain elimination. 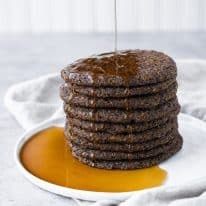 In saying that, even if you do eat gluten and/or grains, I promise you will still fall madly, deeply in love with this recipe! I’ll even bet that family, friends, neighbors, other humans, etc. will never even know these are grain-free! Prepare to impress and be impressed! 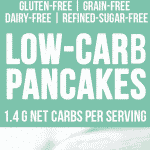 One pancake contains only 1.4 grams of net carbs! This recipe is low-carb, gluten-free, grain-free, dairy-free, vegetarian, and refined-sugar-free. Find all Real Balanced low-carb and keto-friendly recipes here! 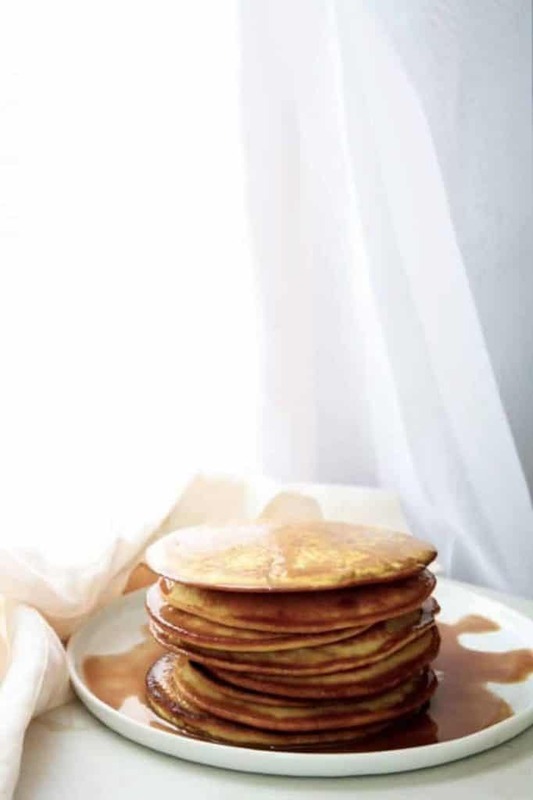 These Low-Carb Pancakes are a delicious low-carb breakfast option for those mornings you’re craving pancakes! 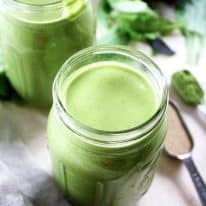 This recipe is low-carb, gluten-free, grain-free, dairy-free, vegetarian, refined-sugar-free, and contains only 1.4 grams of net carbs per serving! In a large bowl, whisk together all pancake ingredients. In a medium-sized pan, over medium-low heat, spray avocado oil cooking spray and allow to preheat. Using a ladle, pour pancake batter into pan. Flip once bubbles begin to form. For the syrup, in a small pot, combine all syrup ingredients over low heat. Stir until melted. Remove from heat and pour over pancakes or use as dipping sauce. Enjoy! I’m on my 4th day of the keto diet and I made these pancakes this morning. They were delicious! They’re semi sweet even without syrup, and with syrup they’re so good!